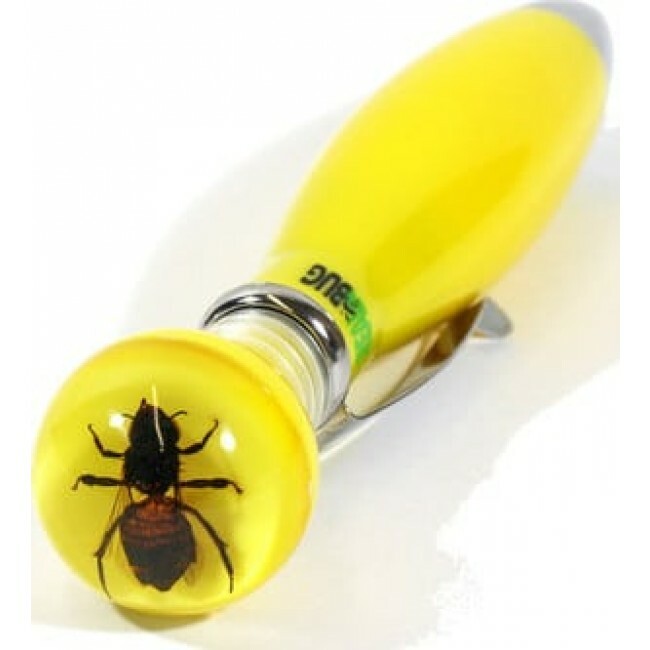 Unique Pen contains a REAL Honeybee preserved forever inside an acrylic ball on top of it. Let your inner entomologist out! Length of pen: 5.5". A natural way to appreciate nature up close and without the itch. With its curious swirl of science and style, this unique pen contains a REAL Honeybee preserved forever inside an acrylic ball at the top of the pen. Ball Point Pen's body is Buttercup Yellow and the ink is Blue. Size: 5.5".